Don’t overlook the important of commercial fitness flooring for your gym, pool, or other facility. High quality flooring not only looks great to customers, but keeps them safe as well. Poorly made flooring can warp, tear, curl up, and otherwise create dangerous trip hazards, even exposing your facility to legal trouble in the event of a serious injury. Our wide range of fitness flooring solutions ensures that you will find the rubber tile, turf, or other surface material to perfectly meet your needs. We look forward to helping you upgrade the flooring at your facility or get your new gym started off on the right foot. Don’t overlook the important of commercial fitness flooring for your gym, pool, or other facility. High quality gym flooring not only looks great to customers, but keeps them safe as well. Poorly made flooring can warp, tear, curl up, and otherwise create dangerous trip hazards, even exposing your facility to legal trouble in the event of a serious injury. Our wide range of performance fitness and gym flooring solutions ensures you will find the rubber tile, turf, or other surface material to perfectly meet your needs. We look forward to helping you upgrade the flooring at your facility or get your new gym started off on the right foot. Workouts don’t like to wait, and why should they? 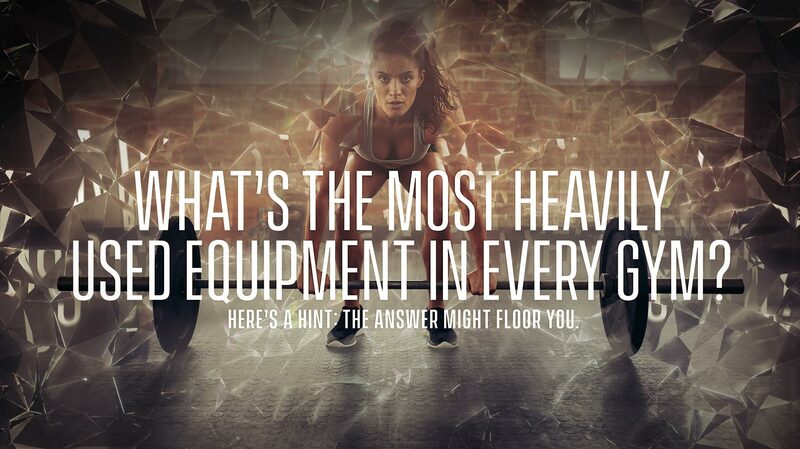 With flexible, 24 month interest free financing, you can take your new fitness equipment home today and get to it. From South Park, to Ballantyne, to Myers Park, to Concord, Huntersville, and Matthews, we are the Charlotte region’s go-to source for the highest-quality fitness equipment.